There’s nothing like movie night with the kids. Special treats and memories make the perfect movie night. 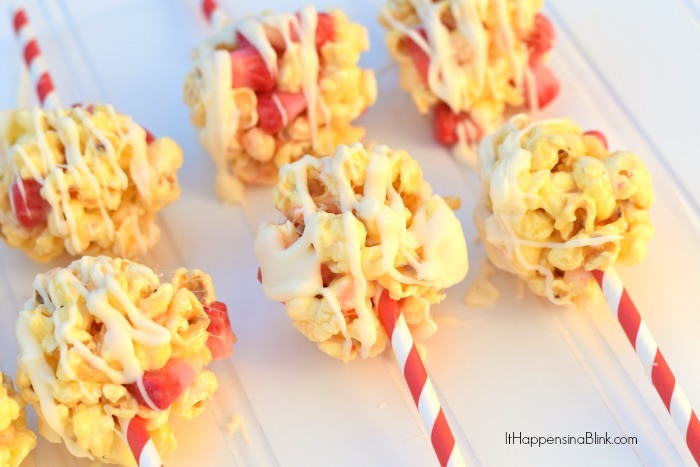 Thanks to Pop Secret for sponsoring today’s Candied Popcorn Ball Sticks recipe, coupon, and post. Since having triplets, it’s been hard to carve out time with just me and my oldest girl. Most days, the two of us getting out of the house to do something special is just plain impossible. Movie night has turned into our time. We have movie night at least once a week. 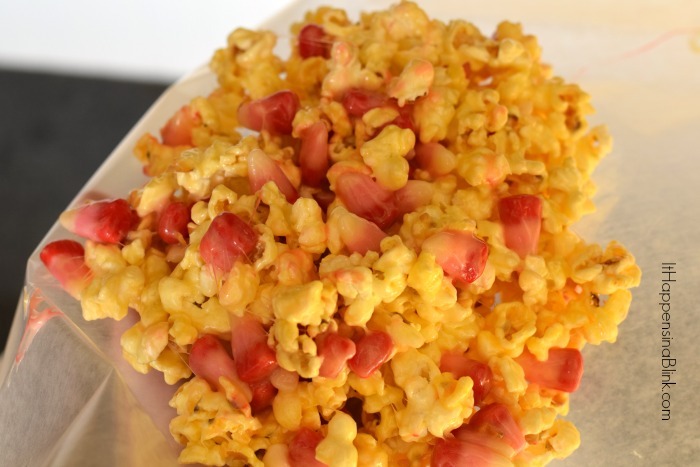 Sometimes we just pop a bag of Pop Secret popcorn, and other times we make tasty treats. Either way, it’s the memories we make that matter the most. This week, I told her that we were having a different spin on movie night. Our deal was simple: I would make a special Valentine’s Day themed treat, and she had to build a pillow fort with the help of her brothers. The Candied Popcorn Ball Sticks turned out delicious, but I think her dad may need to teach her a few pillow and blanket fort building skills. Melt the butter in a large pot on medium low. Add the marshmallows. Continue to cook and stir until the marshmallows are melted. Add the popcorn and candy corn and combine thoroughly. Spray your hands with non stick cooking spray. 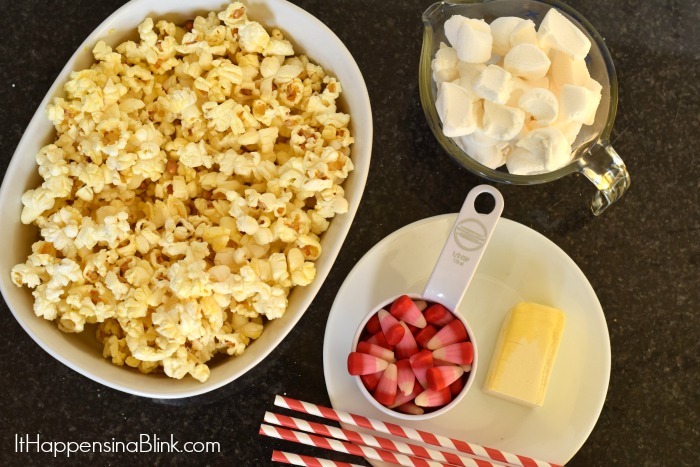 Form the popcorn and candy into small balls and insert a striped straw through the middle. The key to getting the popcorn mixture to stick around the straw is to create a tight seal with the popcorn and the stick. Lay the sticks on a cookie sheet to harden. Once the popcorn mixture has harden, melt the candy discs and drizzle them over the sticks, if desired. So while I was busy holding up my end of the bargain, my girl and her brothers were, umm, building a fort? She claims that her brothers kept pulling the blankets and pillows down so she wasn’t able to build a “proper fort.” I’m not so sure about that. 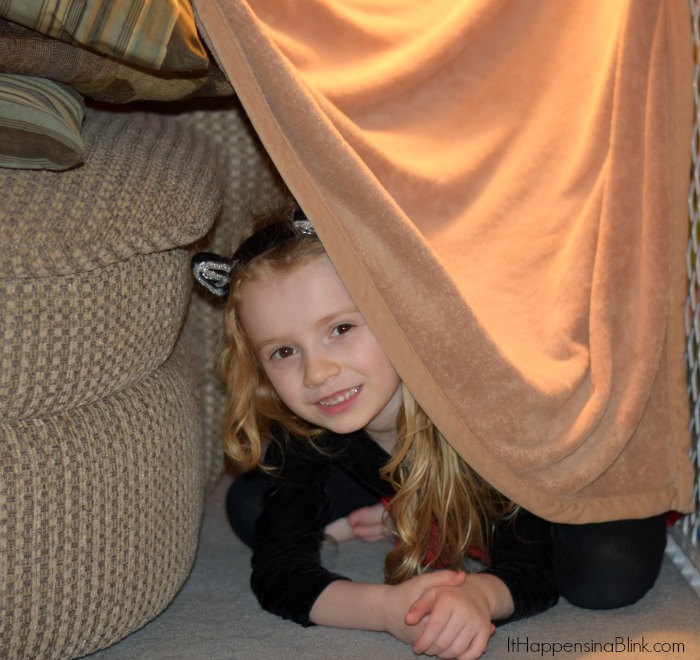 If your kids like Pop Secret popcorn and building forts, be sure to heard over to the Pop Secret Facebook page and submit a photo of their pillow fort to be eligible to receive a host of mystery prizes and rewards while supplies last. There’s also a $1 off coupon to download, as well! what a fun special time for you and your daughter to enjoy together! I mean what could be better than a movie, popcorn (especially in these delicious candy ball forms!) 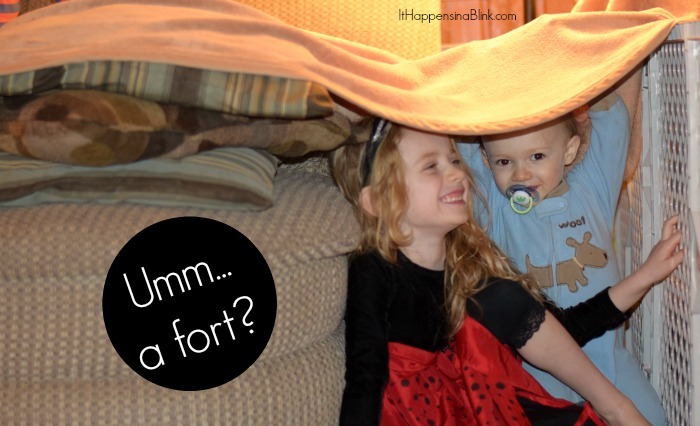 and a fort! Love it! I love the idea of putting them on a straw. They look so tasty! Oh yum! 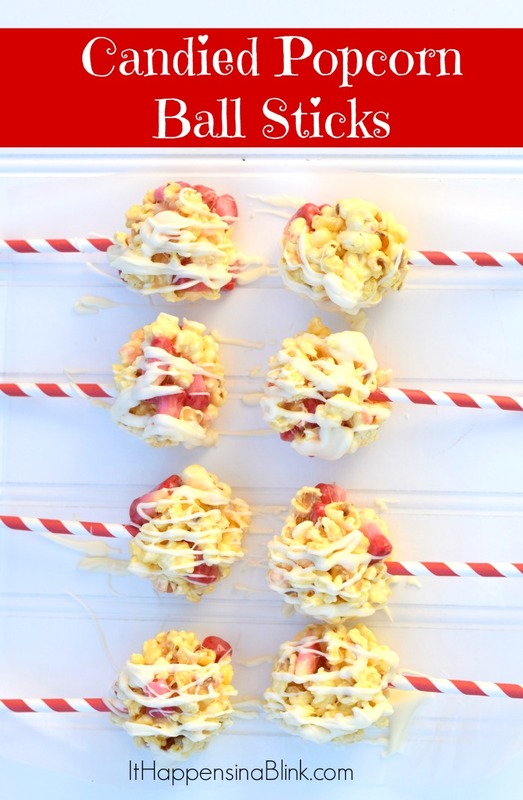 I never thought of making popcorn balls out of microwave popcorn! Great idea!! So cute…and no sticky fingers!! Very cute! I used to love making forts when I was little 🙂 Your kids are super cute! So cute! My girls would love these! So fun to put popcorn balls on a stick!! 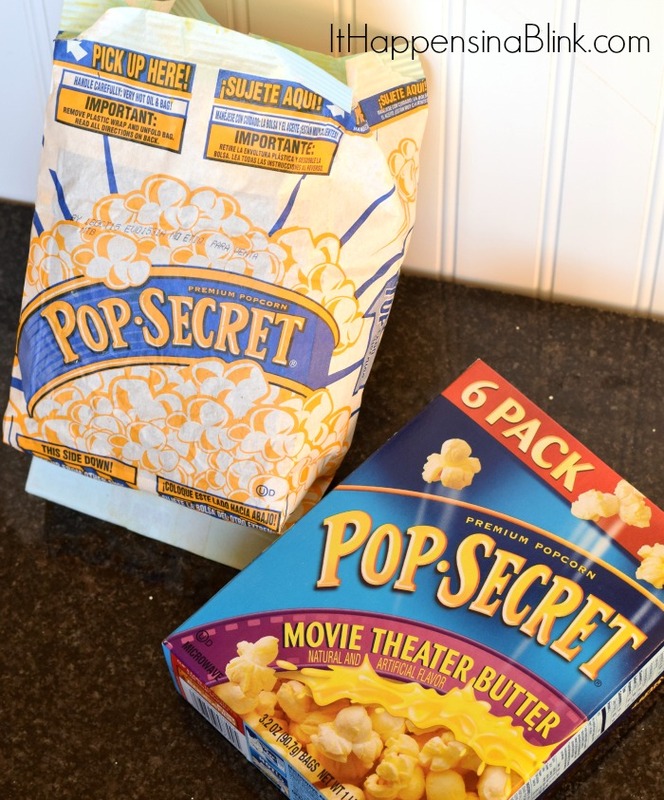 I love pop secret popcorn, headed to get that coupon! !